March 18 marks the passing of Marcellin Berthelot. 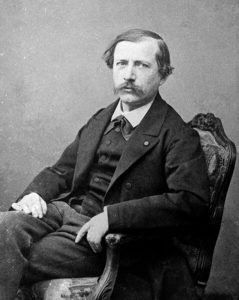 Berthelot was a French chemist who believed all chemical reactions depended on the action of physical forces that could be measured. Berthelot was also partly responsible for the end of the vitalism theory of organic chemistry. Vitalism theory was based on the belief that organic compounds could only be formed from other organic sources. They could only be formed by some ‘vital spark’. Berthelot managed to synthesize hydrocarbons, natural fats, and sugars from inorganic sources to disprove this theory. He was responsible for the Thomsen-Berthelot principle in thermochemistry which postulates all chemical changes produce heat. The greater the amount of heat, the greater the driving force for the reaction. If there are multiple reactions that can take place, the reaction which occurs will be the reaction which generates the most heat. This theory turned out to be not entirely true except for certain conditions. This theory would be modified later by German physicist Herman Helmholtz to consider not just heat, but the reaction’s free energy. Berthelot was also interested in the history and philosophies of science. He published several books on chemical history and translated old alchemical texts from Greek and Arabic. He helped originate the French La Grande Encyclopédie, a 31-volume collection of articles on science, letters, and the arts. It was supposed to be a complete collection of all modern knowledge. 1998 – Hideo Shima died. Shima was a Japanese engineer who headed the team who built the first bullet train connecting Tokyo with Osaka. The development of this train’s line ultimately caused him to lose his position as president of Japanese National Railways. The line needed to be relatively straight so it could travel at high speeds. To do this, 3,000 additional bridges had to be built and 67 new tunnels had to be dug. This construction ended up driving the costs well past the railroad’s budget. He later became president of Japan’s National Space Development Agency where he led the push to hydrogen as a fuel for rockets. 1989 – Harold Jeffreys died. Jeffreys was an English mathematician, geophysicist, and astronomer who was first to propose the Earth’s core was molten. He also calculated the surface temperatures of the outer planets to be very cold instead of very hot, as prevailing science predicted. 1965 – The Soviet Union completes the first spacewalk. Leonov during his spacewalk outside Voskhod 2. Soviet Cosmonaut Aleksey Leonov became the first man to perform an Extra Vehicular Activity, or spacewalk, when he exited the Voskhod 2 spacecraft while in orbit. The ability to work outside a space capsule was an important goal for future missions in space. The walk was not without problems. After ten minutes, Leonov’s spacesuit became overpressured and basically became a non-functioning balloon. He had to greatly reduce pressure in the suit before he could re-enter the capsule. 1907 – Marcellin Pierre Eugène Berthelot died. 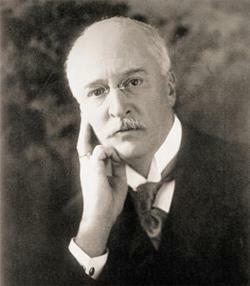 1858 – Rudolf Diesel was born. 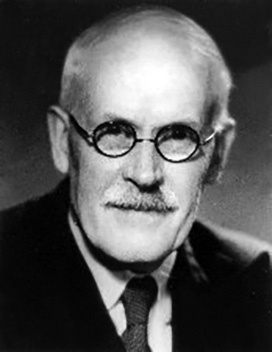 Diesel was a French-German engineer who developed the diesel internal combustion engine. The diesel engine has the highest thermal efficiency of any internal combustion engine. It relies on the heat from the compression stroke to initiate the ignition to burn the fuel. The compressed air has a high enough temperature to ignite the fuel as it is injected into the piston at the end of the compression stroke. Diesel’s death is a source of mystery. He was last seen at dinner aboard a steamer headed towards England. It’s not known if he was murdered, fell overboard, or started a new life under an assumed name.